With Valentine’s day looming, for those of us in relationships, it can seem quite difficult to come up with something original with which to surprise our partners. For those not in a relationship, Valentine’s can be a great excuse to find a new treat for yourself. With that in mind, what could be nicer than a very adult rose pink drink? 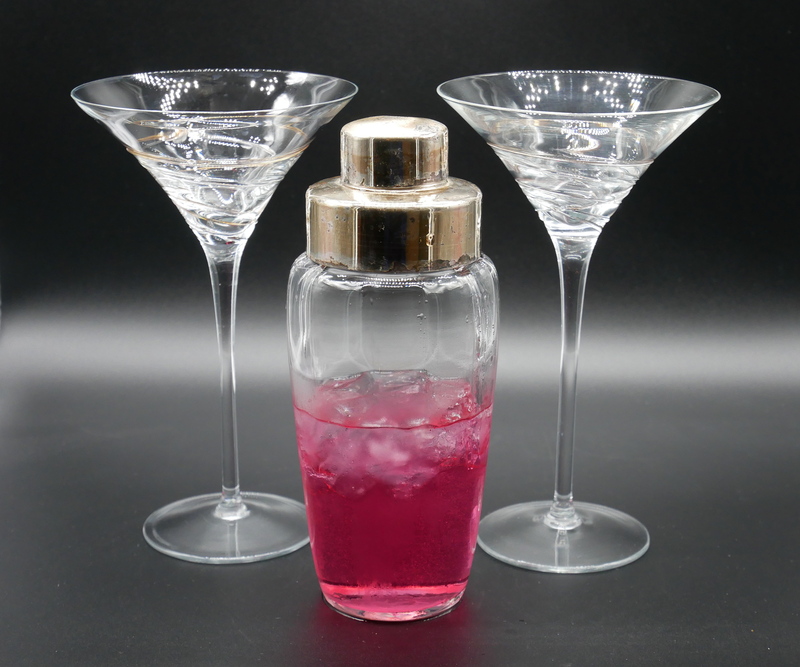 Lanique – a Rose Petal Liqueur. If like me, you haven’t heard of Lanique, it seems that it’s actually over 200 years old, but has only just been revived. It’s made from rose petals and has a pretty and delicate colour along with a lovely perfume which manages not to be over-powering. I was a little worried that drinking this would be the liquid equivalent of Turkish Delight, but it managed to steer clear of sweet and cloying. Knowing that it’s created by steam distilling thousands of hand-picked rose petals sourced from the East, made it seem a very luxurious treat indeed. The distilled rose petals create Attar of Rose, a rich oil which is worth more than gold in weight. This oil is then added in a slow multi-part process with carefully selected sugars and a neutral grain spirit to produce the rose liqueur. 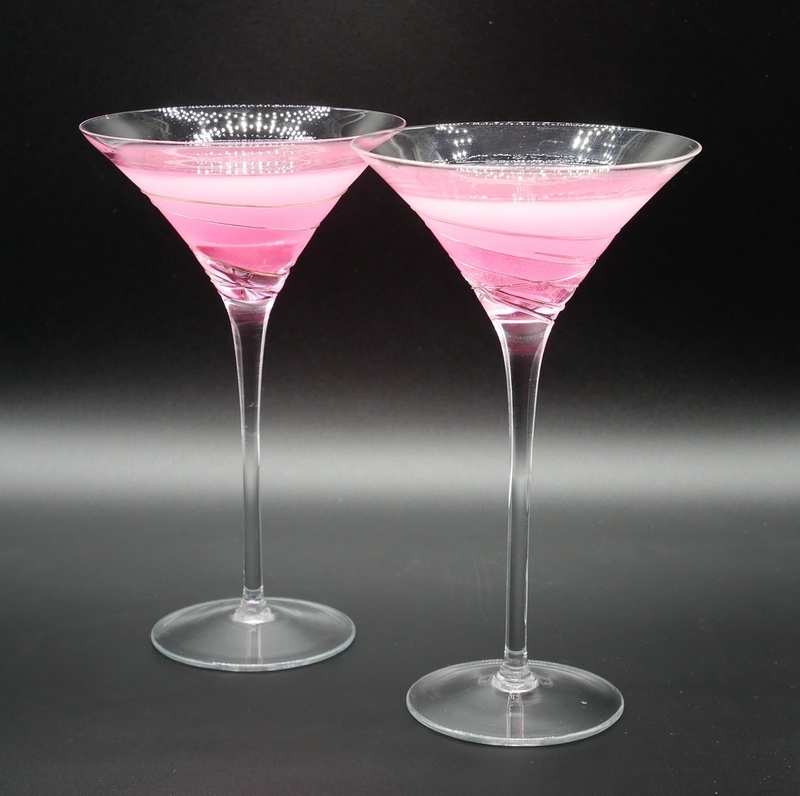 I had a little play with the Lanique and created a couple of cocktails, which I thought worked really nicely. Firstly as a Rose Martini. The web site suggested 2/3 Lanique to 1/3 Gin, but I reversed that ratio thinking that it would be a little too much of the rose flavour that way around. I certainly enjoyed my version! I then had a play with a cross between a Negroni and a Venetian Spritz, using an in-season fresh blood orange. If I do say so myself, this was utterly delicious (although quite strong drink!). Put the ice and all the ingredients (apart from the sparkling wine and the slice of orange) into a cocktail shaker. Shake well, strain into a glass, top up with sparkling wine to taste and stir. Garnish with the slice of orange. Other ideas for Lanique drinks include a simple topping of tonic water, as a champagne cocktail, or even as a Mojito. Looking for something different? Here’s last year’s Valentine’s cocktail with Cranes – or here’s an idea if you prefer a classic whisky cocktail, an Old Fashioned. 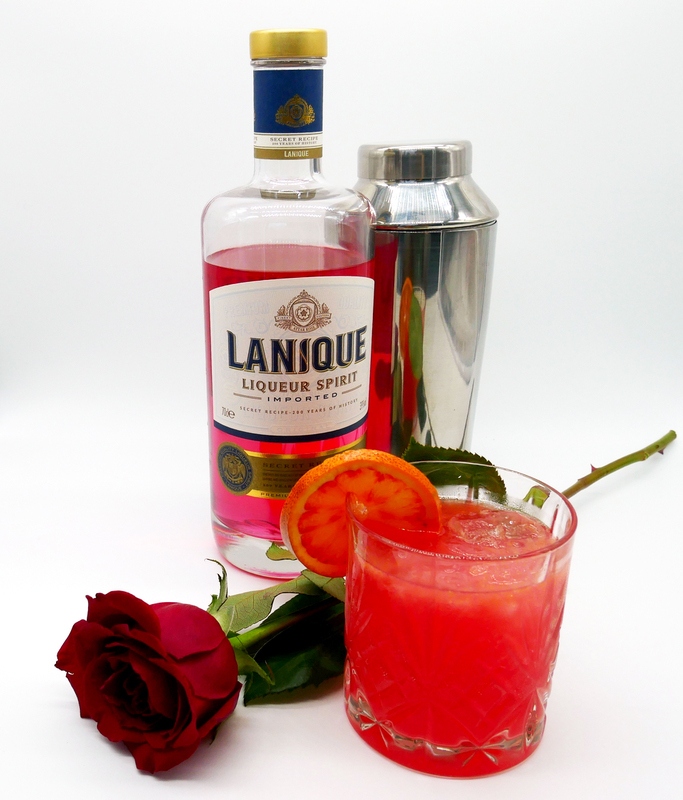 Disclosure: I was sent a bottle of Lanique free of charge to experiment with and create a Valentines Cocktail. All content is editorially given. This post contains affiliate links from which we earn a small fee.